When setting up your Chart of Accounts, some small businesses use their tax form that their accountant will be using to file their taxes as a reference &/or as a guide. Do seek the help and guidance from your accountant or a professional business / accounting services provider to make sure the Chart of Accounts are set up – or cleaned up(!) correctly. ProFound Impact (PFI) is a division of Business Support Services (BSS) Northwest, LLC based in Bellingham, WA. 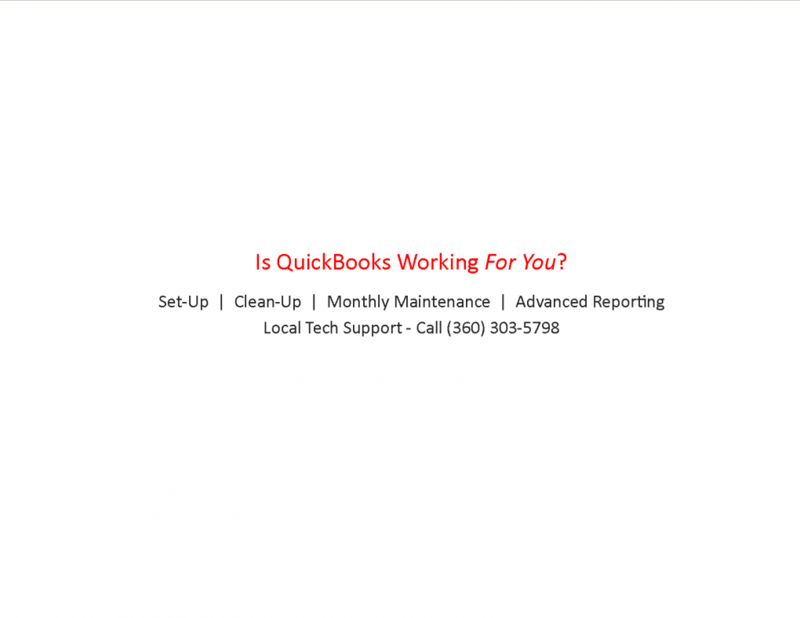 Payroll, Bookkeeping and QuickBooks Help & Solutions for Whatcom, Skagit, Snohomish Counties and remotely through WA, OR, & AK. PreviousHow does your business measure up?